It’s the little things that communicate thoughtful care to guests. In our busy world, however, sometimes those details all too easily slip through our fingers. That’s why we’re here to offer simple and inspiring ideas that help keep our rich traditions of Southern hospitality alive and well. 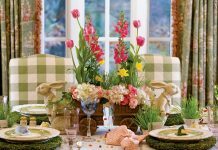 Holidays—even the little ones—are the perfect reason to make that extra bit of effort to show the people seated at your table how highly you regard them. 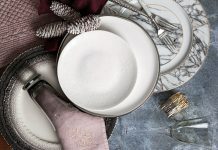 For Valentine’s Day, we have two complementary table settings that will work perfectly with either a romantic evening for two or a gathering of close friends. 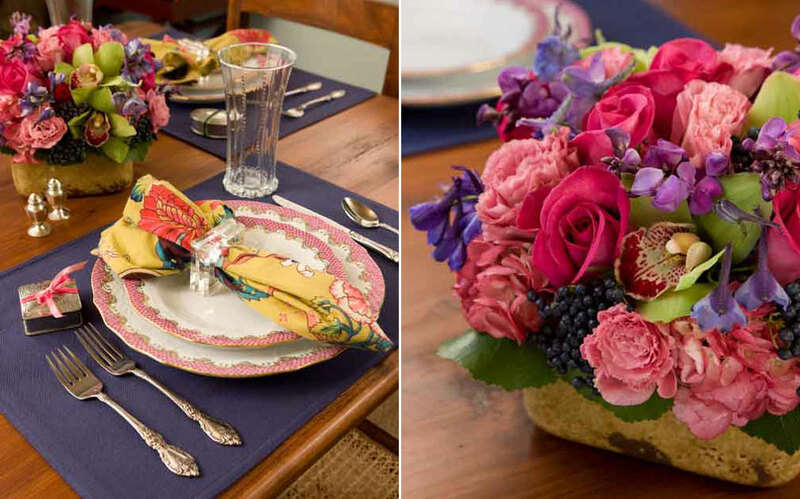 For a less formal gathering, accentuate the jubilant potential of pink with bold colors and playful patterns. 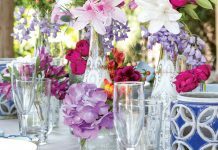 Establish your palette with a vibrant napkin, then repeat its vivid hues in place mats, fresh flowers, and other table elements. 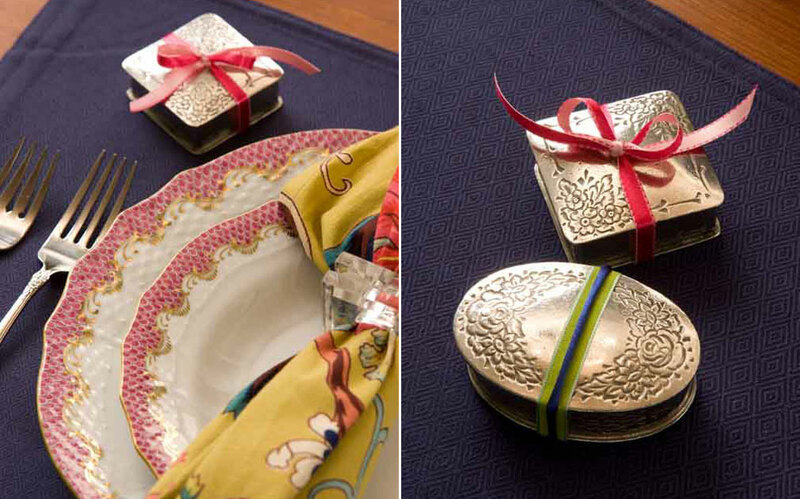 For special occasions, place a small surprise at each setting, and tie with a rainbow of ribbons.